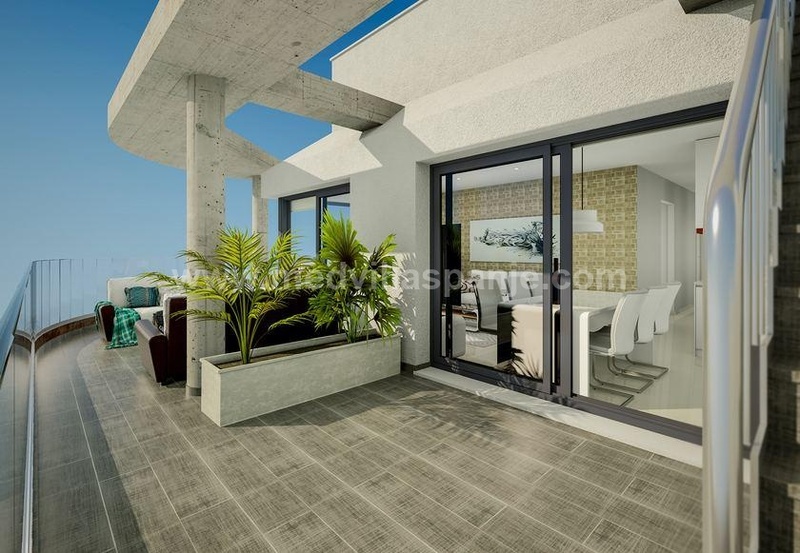 This penthouse has a spacious roof terrace and with a nice view to the garden with the communal swimming pool. There is also a children's pool and a playroom. The tranquility and the beautiful surroundings with the mountains in the background are an absolute added value. In short, a real holiday feeling. The residence itself is closed and only accessible to residents. Each apartment has its own parking space and storage. The beautifully landscaped golf course is located nearby. Also within walking distance there is a supermarket, various other shops, restaurants, etc. The coast is around 15 minutes drive as well as the city of Torrevieja. Alicante airport can be reached after a 15-minute drive. Beautifully landscaped residence with lots of space, both inside and out - Completion April 2020.